The Northern Club, draped majestically in a well-tended ivy cloak and founded in 1869. The Climate Realists network, most ably and energetically led by our good friends Esther and Neil Henderson, have managed the coup of this deepening southern winter by prevailing upon Christopher Monckton to extend his tour Downunder and visit New Zealand when he’s finished stirring up our Aussie cousins. Well done, the Hendersons! Brave of you, m’Lord! Now come on, you lot, hurry up so you don’t miss out! UPDATE 27 July: At last! First public climate debate in NZ! Debate confirmed for evening of Thursday 4th August. Hosted by PRINZ. See Christopher Monckton go head-to-head with atmospheric physicist Professor Geoff Austin. Details below. These events are not just for the “climate sceptics” among us. Lord Monckton talks to everyone and everyone will be entertained. And he thrives on hecklers. For more information please contact Climate Realists; contact details are on their web site. Evening: AUT Akoranga Campus, debate. The Northern Club is handily situated in the centre of the city. This will be a most entertaining lunch; we urge you to come along and bring a guest. Club members: to purchase tickets, please contact the club. 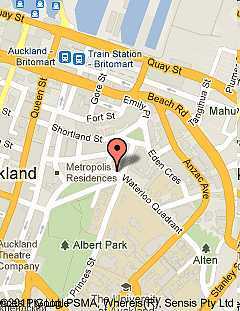 venue: The Northern Club, 19 Princes St, Auckland. Payment is required in advance. Numbers are limited, so book promptly. The AUT Akoranga campus on Auckland’s North Shore. The first public climate debate in New Zealand. To purchase tickets: visit the PRINZ event page “Is the Climate Change Debate over?”. This PRINZ event will take the form of a discussion of man-made global warming issues between climate change skeptic Viscount Christopher Monckton, a British hereditary peer, journalist and businessman, and University of Auckland atmospheric physicist Professor Geoff Austin. contact: visit PRINZ web site to book. Global climate change is seen by many as the world’s biggest threat. But is it real, or are we subject to some kind of monstrous “group think”? How has the science behind climate change been formulated and communicated? Is the science reliable? Do the policies now being enacted at (our) great expense stand any chance of stopping the warming? What does the future hold? Lord Monckton will explain why carbon dioxide is beneficial to the Earth and mankind, that it is not a pollutant, that emissions of it, mainly natural, cannot and will not change natural rises and falls in global temperature which have occurred throughout history. Any attempts by humans to “control” the temperature of the Earth cannot succeed, and the imposition of charges such as our ETS tax cause pain without any possible gain. After his address, Lord Monckton will welcome questions from the audience. Lord Monckton is a most entertaining speaker — whichever side of the global warming debate you support. O/T, but check out my beach cross-country skiing pictures from today! O/T but Ken Perrot appears to be claiming that this is a right-wing hate site that is tacitly supporting the mass murder in Norway by not explicitly condemning it. Here and in the US and the UK the support he gets are from people who already think the same way. Don’t forget his manifesto is basically a cut and past of hate mongering easily found on the internet. It is the sort of stuff previously presented here by people like Treadgold and local conservative Chrsitians and that you yourself are advancing. Thanks, Andy. Once someone is finally talking to Perrott he never lets them go, they have to tear themselves away. He makes outrageous statements to get people to talk to him because he’s incapable of having an ordinary conversation or asking how you’re getting on. He’s a lightweight and I won’t waste my energy on him. There’s no rational connection between climate scepticism, religious fundamentalism, world government and mass murder, and it’s stupid to suggest one. Perrott is a cretin. Monckton if our leadership wouldn’t. ETS is based on the assumption we need to reduce CO2 in the atmosphere. now inaccurate. Please accept our apologies for this. Not surprising really. They probably watched Dr Denniss getting destroyed, and realised they had no other arguments beyond Consensus either. Maybe this is Mike Palin’s big chance, he said he was ready at any time. He can’t do worse than Dr Denniss, after all. Oops, I see Prof Austin has offered to fill the gap. Never mind. Re the politically accepted “scientific consensus” in Andy’s Green Party v Monckton comment. I’ve just had a response from MftE CC in regard to my 18 page case that 7 key climate metrics are not performing as per AGW this century. The case was referenced to at least 20 peer-reviewed papers (many post 2007) and hot-linked to most of them. The case for each metric was accompanied by a challenge repeated from the initial contact e.g. Thank you for your emails of 29 June and 4 July 2011 regarding climate metrics. The Ministry for the Environment does not publish data on the climate trends as this information is widely available from other sources and is updated on an appropriate timescale. Our primary source is the |PCC’s assessment reports, in which peer reviewed data and science is presented with due consideration for its policy relevance. This information is availabie to anyone, and is updated around once in every seven years — an appropriate timescale when considering data and trends that will be of concern over the next hundred years. in the analysis you have sent, you seem to be focussing only on the short term data, i.e., looking at the last five or the last 10 years. This is not an appropriate timescale with which to be considering climate change. For example, in your quoting from the Solomon (2010) paper you comment on the last period of ‘little change‘ ignoring the previous two and a half decades of increases. Short term periods with little change or even decreases in climate parameters are likely to be expected from natural variability. For example, after analysis of surface temperature records and climate model data, Easterting and Wehner (2009)‘ state: “Claims that global warming is not occurring that are derived from a cooling obsenred over such short time periods ignore this natural variability and are misleading”. Trends in climate parameters over periods longer than a decade still show that the climate is changing in a way that is entirely consistent with the theory of anthropogenic global warming. In making my statement that the information ‘is consistent‘ with climate change I have accepted that there will be short term variability and have hence considered the longer timescales. I continue to stand by my statement that the observed climate metrics are consistent with what we would expect from anthropogenic climate change. In formulating policy on climate change we use peer reviewed science as our evidence base. Much of what you present here comes from the climate change science web site which is neither invigilated or peer reviewed. Many of the ‘issues’ raised there have been dealt with in peer reviewed literature. A magnificent fob-off from an AGW-contrary-science-blind propaganda outlet stuck in an IPCC AR4 2007 mind-time warp I think you will all agree. No matter how well the world controls emissions of greenhouse gases, global climate change is inevitable, warn two new studies which take into account the oceans’ slow response to warming. Even if greenhouse gases never rise beyond their present level, temperatures and sea levels will continue rising for another century or more because of a time lag in the oceans’ response to atmospheric temperatures, say researchers. This time lag means policymakers cannot afford to wait to tackle climate change until its consequences become painful, because by then they will already be committed to further change, they urge. “The feeling is that if things are getting bad, you hit the stop button. But even if you do, the climate continues to change,” says Gerald Meehl, a climatologist at the US National Center for Atmospheric Research (NCAR) in Boulder, Colorado. Meehl and his colleagues used two sophisticated computer models of global climate to predict what would happen under various scenarios for greenhouse gas emission controls, taking into account the oceanic time lag. Their most optimistic scenario – in which atmospheric concentrations of greenhouse gases are capped at year 2000 levels – would require severe cuts in CO2 emissions, far beyond those set in the Kyoto protocol. But even this optimistic scenario predicts that global temperatures would continue to rise by between 0.4°C and 0.6°C over the next century. That increase is comparable to the increase in global temperature during the 20th century of about 0.6°C. A second, independent study using a simpler climate model by Tom Wigley, another climatologist at NCAR, paints the same bleak picture. The time lag occurs because rising air temperatures take time to make themselves felt throughout the immense thermal mass of the oceans. This “thermal inertia” means that Earth has not yet felt the full effect of today’s level of greenhouse gases, explains Meehl. And because water expands as it warms, this time lag in temperature will continue to push sea level higher. Meehl’s models predict that thermal expansion alone would make sea levels rise by about 11 centimetres over the next century, even if greenhouse gases were held at 2000 levels. The real rise would almost certainly be more, he says, because his models do not include the effect of melting of glaciers and icecaps, which will be more rapid in a warmer world. We are dealing with freaking nutcases that have all the physics concepts and thermodynamic processes a**** about face. The peak in ocean warming that we have seen this century is the result of solar heating last century (the thermal inertial lag). The lag is over, there’s no more warming unless the sun gets busy again and the atmospheric temperatures have nothing to do with it. I haven’t got back to MftE CC yet – I have to wait for my own thermal lag to subside first. Ken’s only chance of expanding his readership beyond his 4 regular website visitors is to try to draw people to his site by spouting complete rubbish (in much the same way as I mentioned the NZ Herald does). My advice is not to fall into his trap, he’ll never admit he’s wrong anyway regardless of how obvious it is so it’s a waste of time. Perrott’s just an attention junkie who wants his readership to rise from 4 to 5. Ignore him, he’ll fade into obscurity where he belongs. So, apart from their obvious gaffe, how do they explain the fact that in spite of this inevitable, unstoppable inertia pressing forward regardless of future emissions cuts, the oceans are cooling? Whoops. “how do they explain”? – natural variability seems to be the answer. On reflection, I’m encouraged by Dr Power’s response because it helps set the respective positions for ongoing debate and opens up new angles of attack (among other things) on their “long-term” only rationale. It looks at observed linear trends (simplistically) and modeled trends (why I don’t know – includes Meehl et al. 2007). Now I’m not denying that there’s been an underlying trend of global warming over the last 300 years as perhaps Power thinks I do, I’m just questioning the attribution of significant anthropogenic influence. So where in that 300 year series is there evidence (apparent or proven) of an anthropogenically forced acceleration? And if its there, why has natural variability overridden it as Easterling and Wehner implicitly concede? They calculate 0.66°C/century for AGW and the paper obviously has its roots in Scafetta’s “Empirical Evidence for a Celestial Origen of the Climate Oscillations and its Implications” paper. Their residual linear trend 1950 – 2010 (Fig 2 WUWT post) indicates anthropogenic acceleration starting at 1950 but remember that I plotted the underlying HadCRUT3 quadratic from “Celestial Origens” against LD-ML CO2 and found that temperature LEADS CO2 which I pointed out to MftE CC and they’ve studiously ignored. The temperature acceleration starts about 1870 and the CO2 acceleration starts around 1945 i.e. CO2 lags temperature in the 20th century. 1) Does she concede the possibility of “no trend in an anthropogenically forced climate” due to “short term variability” that may last 30 years (which defines “climate”) rather than the 20 years that E&W state if it is to follow the trends of “longer timescales” that L&S show? 2) How does she reconcile the inconsistency of CO2 lagging the underlying trend of temperature (1870 vs 1945) in her “longer timescales” with her assertion that “the observed climate metrics are consistent with what we would expect from anthropogenic climate change”? Secondly, I will press for the MftE CC understanding of how the ocean is warmed e.g. 3) Do they subscribe to the notion as per the NewScientist article that the atmosphere and GHGs heat the ocean and if so to please describe the process in physics terms with reference to peer-reviewed science (and please refer to my Hale and Querry reference previously provided that proves the physical impossibility of it and has been cited 1470 times). 4) If yes to 3), a) do they subscribe to the notion that ocean warming will resume soon as a result of rising AGHG emissions so that anthropogenic forcing overrides natural variability? b) If yes, why hasn’t that happened since 2003/04? c) Or can anthropogenic forcing only happen when natural variability is in abeyance? 5) If no to 3), what would contribute to resumed ocean warming if rising AGHG emissions (and therefore anthropogenic forcing) will not? Mike, thanks for highlighting that. I don’t think I would have seen the subtlety otherwise and its amazing to see it actually written down now that I do. So if peer-reviewed science and data DOESN’T fit the policy – its excluded. There’s plenty in that letter when you take it word-for-word and element-by-element but I haven’t got down to that detail yet, I’ll do that when I put the reply together. BTW others, similar comments to Mike’s would help because in putting together the big picture it’s easy to miss the subtle detail I find in this exercise (I’m appealing for crowd-critique). # On-going peer-reviewed science and data is considered with due consideration for already formed but moribund policy. # Policy is formed and amended dynamically with due consideration for on-going peer-reviewed science and data. The latter is the whole point of my “publish the metrics” thrust – how naive of me. Uncanny timing with respect to 1984 . I think I hit a few buttons. Came across this site via a UK Daily telegraph blog so I thought I’d leave a few thoughts. Because of major scientific errors, no climate model can predict climate. In 2004, NASA physicist Ferenc Miskolczi left because they refused him permission to publish his discovery that ‘back radiation’ in the 1922 paper by English Astronomer Sir Arthur Milne was a mathematical mistake; last year I realised the prediction by Carl Sagan of cooling by polluted clouds supposed to hide high feedback CO2-AGW assumes a single optical process when there are two. NASA knew this by 2004 and commissioned work to find out why. In 2004, NASA [ http://geo.arc.nasa.gov/sgg/singh/winners4.html ] substituted for Twomey’s correct physics, a ‘surface reflection’ idea which apparently reconciled the new observations with theory. There’s no such physics. It was a con. to deceive from authority the rest of oxymoronic ‘climate science’ and it worked. The only ‘evidence’ for high feedback in AR4, ‘cloud albedo effect’ cooling, Figure 2.4, doesn’t exist but climate science accepted it.. Yes, that’s right, AR4’s conclusions are fraudulent. Extend the logic and Miskolczi showed a water planet’s atmosphere self controls about constant greenhouse warming [well less than half the claimed 33K because they convolve in it lapse rate], also the real AGW we had in the late 20th Century was probably from aerosol pollution,, as Asia industrialised, increasing light transmission through clouds. Because it’s particularly marked at short wavelengths needed to warm deep seas, this explains palaeo-climate. So, there is no CO2-GW or AGW. The World is cooling fast. as we enter a new Maunder Minimum of solar activity. The UK Met/. Office shows the key signs of changes in official mindset, having moved its head of modelling and officially assuming 50% solar, 50% CO2-AGW as it tries to regain credibility. I suspect this claim is to massage Cameron and his eco-fascist wif’e’s egos that CO2-GW is still in the Hadley model, but in reality I suspect they’re working overdrive to recalibrate for reality, hence they had to shift the boss. I wonder if he was a Marxist entryist, perhaps like the guy who fiddled NZ’s very important.temperatures? Interestingly, Marxist Jim Hansen is keeping high the feedback CO2-AGW idea alive by claiming aerosol cooling is double what he had thought. Pat Michaels has commented that experiment disproves this because the Northern hemisphere has warmed recently more than the South, which is what you’d expect if Chinese aerosols acted in the way I describe, and it’s observed experimentally. So, 35 years’ ago, Hansen made an honest mistake. Come 2004 and NASA lied to get AR4. The mistake has been identified and the weather organisations are quietly backtracking. The Marxist entryists are getting desperate and the backing down of your guy vs Monckton [a bit of a prat but sound] is yet another symbol of retreat. The basic premise was simple and a wonderful example of Professor Twomey’s incisive thought: if pollution contributes additional nuclei upon which water can condense, then the condensed mass of water will consist of a larger concentration of smaller drops. The reflectance of the cloud will increase because the total surface area of the condensed water in cloud is greater when spread over more droplets. Although pollution alone may directly affect climate by modifying the absorption and scattering properties of the cloud-free atmosphere, the effect of pollution on clouds is potentially even larger; cloud droplets interact with radiation much more strongly than the nuclei upon which they form because they are typically several orders of magnitude greater in size. [NASA] substituted for Twomey’s correct physics, a ‘surface reflection’ idea which apparently reconciled the new observations with theory. There’s no such physics. It was a con. What then was the correct original Twomey idea, and how is it different to NASA’s? …the real AGW we had in the late 20th Century was probably from aerosol pollution,, as Asia industrialised, increasing light transmission through clouds. Pat Michaels has commented that experiment disproves this because the Northern hemisphere has warmed recently more than the South, which is what you’d expect if Chinese aerosols acted in the way I describe, and it’s observed experimentally. I’m more than willing to debate Chris Monckton. He can come down to Dunedin or pay my way to any other venue in NZ before August 10. I guarantee a better workout than like-minded Geoff Austin will provide. Maybe you can tag-team with Geoff Austin at PRINZ on Thursday 4th? I don’t suppose Monckton’s itinerary will extend to The Mainland, unfortunately. 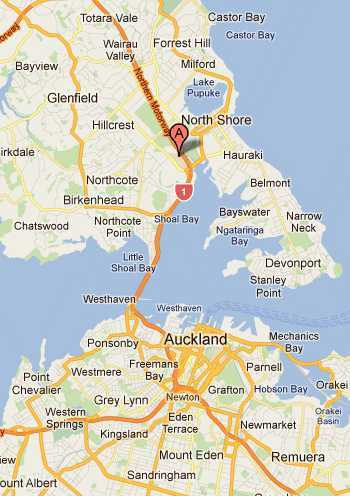 I am in Auckland on that night so hope to get along and meet the rest of the “cranks”. How will we recognise each other?. Do we all have facial ticks or wear strange masonic lodge regalia? Maybe a secret handshake, or a paper clip attached to the buttonhole (the emblem of the Norwegian resistance during WW2)?